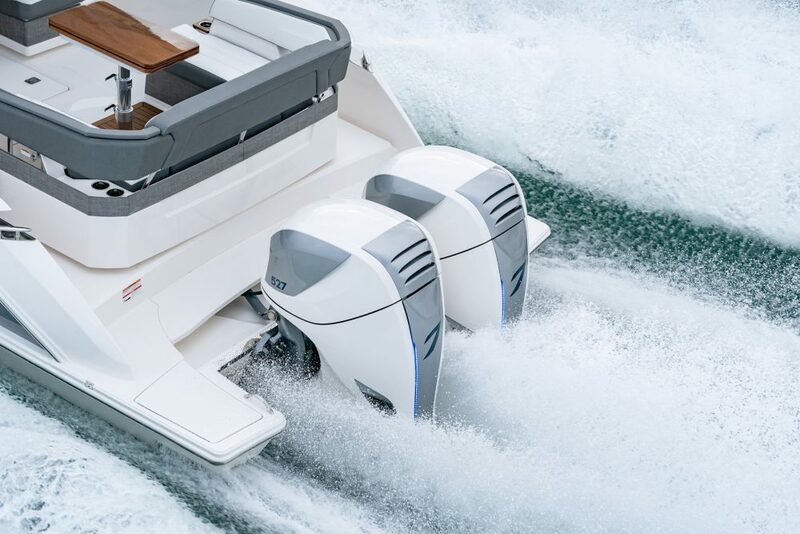 Twin prop sterndrive drive units from Volvo-Penta and MerCruiser compete head to head. Here is the info you need to decide between Duoprop and Bravo III. 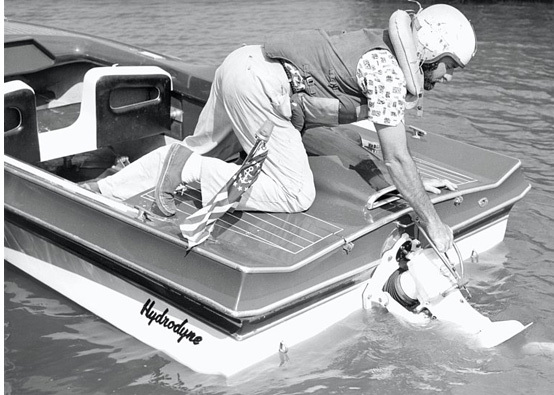 Just a few short years after Volvo-Penta introduced the Aquamatic sterndrive, its competitor Mercury Marine quickly followed suit and introduced stern drives of their own. The next great leap forward in sterndrive technology came in 1982 and was again pioneered by Volvo-Penta, when they introduced the twin-prop Duoprop drive. Mercury’s answer? The MerCruiser Bravo III. 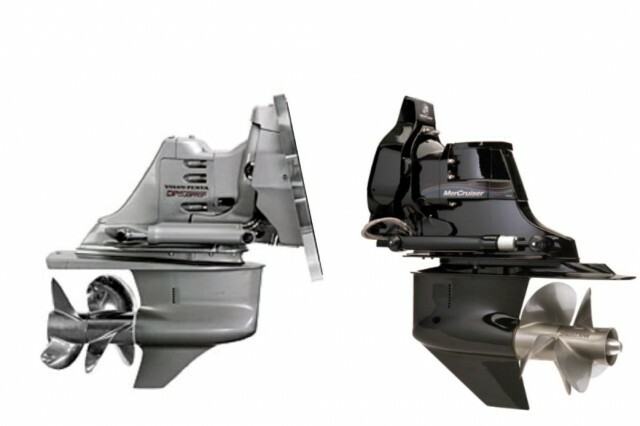 Volvo-Penta Duoprop vs. MerCruiser Bravo III. Which stern drive will it be? Adding a second, contra-rotating propeller to the drive unit gives it a much better bite on the water. 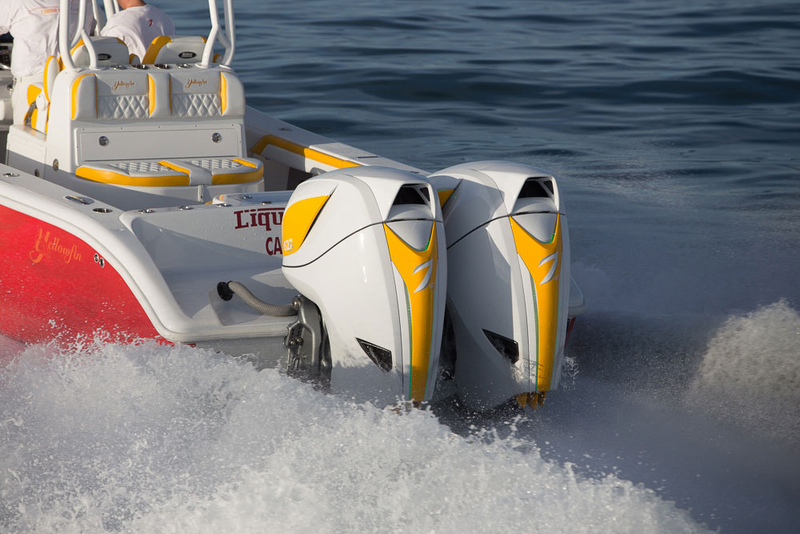 As a result, at the helm you get vastly improving handling, fewer vibrations, better tracking, faster acceleration (by up to 30-percent), better low-speed planing ability, and better slow-speed maneuverability. Many of the annoying performance glitches found in single prop drives, such as excessive wandering at low speeds and poor dock-side control, are solved by the addition of that second propeller. Even in reverse, the handling advantages are obvious at the helm. 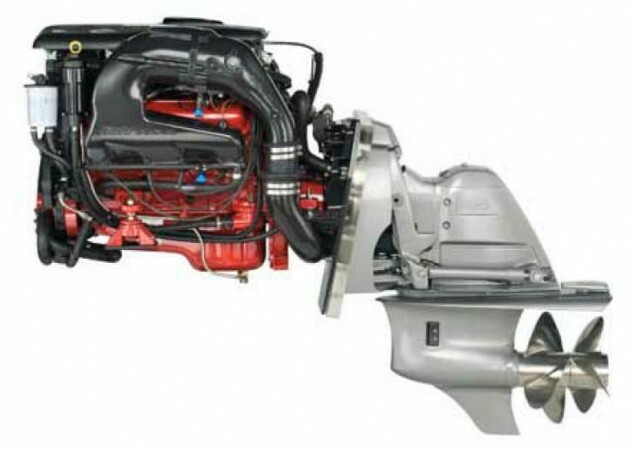 In fact, talk with any boater who's owned both single and twin-prop sterndrive boats, and he or she is sure to say they liked the twin-prop rig more. The Volvo Penta Duoprop comes in DPH, DPS, and DPR versions, which are available to match different gasoline and diesel power systems up to 380-hp. Volvo claims a few unique features, including a patented hydraulic and X-act steering system with direct-mounted external steering cylinders, and the Powertrim Assistant on EVC (electronic vessel control) models, which trims the drive automatically to predetermined setpoints. The MerCruiser Bravo III comes in Bravo III, Bravo III X, and Bravo III XR (four-bladed) versions. Unique perks claimed by Merc include a trim limiter switch and a lube monitor with warning alarm. 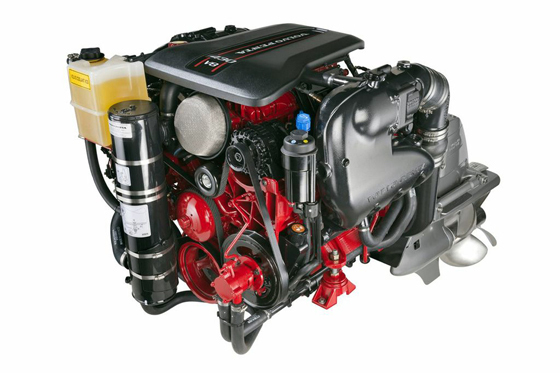 MerCruiser also has a larger dealer/service network, and parts tend to be less expensive. 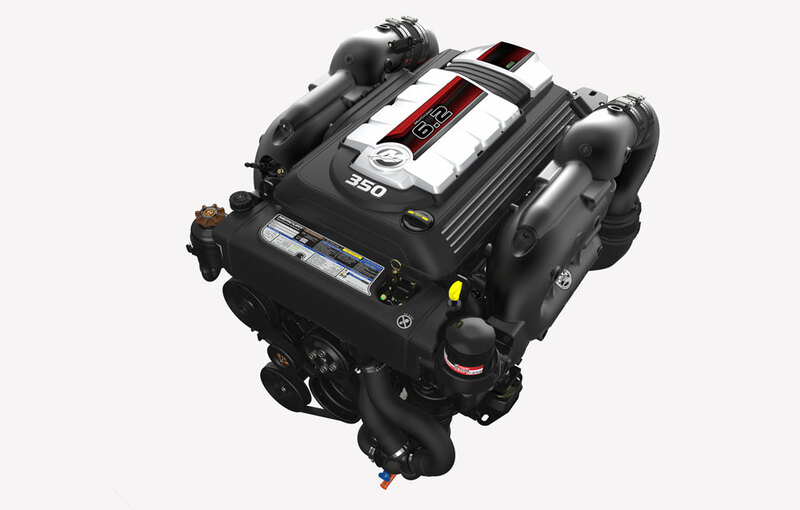 The biggest advantage the MerCruiser Bravo III can point to, however, is the ability to couple with gasoline engines all the way up to 525-hp. Both manufacturers use through-hub exhaust systems, cone clutches (each manufacturer claims that theirs is the smoothest), both say their hydrodynamic lower units minimize drag, and each claim “excellent” or “premier” corrosion resistance. It should be noted that although earlier MerCruiser drives did have some corrosion issues in certain circumstances, today’s Bravo III has the MerCruiser SeaCore anti-corrosion system which comes along with a four year warranty - and that matches Volvo’s four-year OceanX anti-corrosion system warranty. Both manufacturers also run neck-and-neck in customer satisfaction surveys, including in the J.D. Powers and Associates Marine Competitive Information Engine Study. So: if you’re buying a new boat, which system should you choose? It's impossible to objectively say which is "best" because there are so many variables involved, some of which may be more or less important to one person or another. Naturally, you’ll also want to consider the ins and outs of the stern drive powerplants built by these two companies. But a lot will depend on what brand of boat you buy, as well. If it’s built by Brunswick, the nation’s largest boatbuilder, Volvo-Penta won’t even be an option—Brunswick also owns MerCruiser, so naturally, that’s what they put in their boats. Another factor to consider is the dealership you’ll be buying from, and your relationship with them. No matter how well your boat runs it’ll need to be serviced and maintained, and a close-by dealer who’s reliable and fairly priced can make boat ownership a far more pleasant experience. 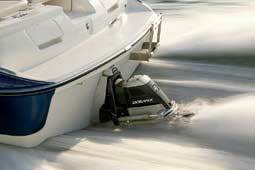 And whichever drive unit you have on the transom, making boating better is the ultimate goal. 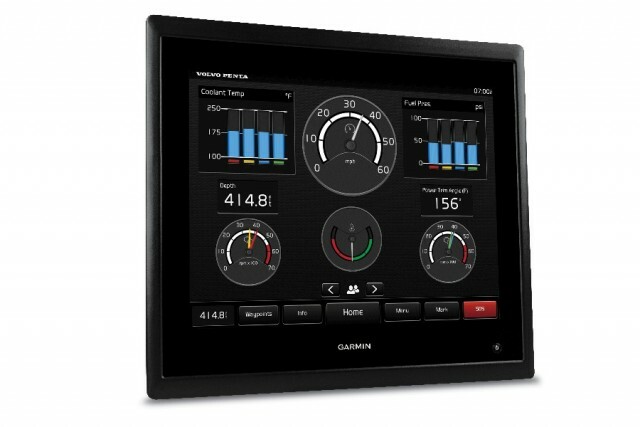 For more information, visit MerCruiser and Volvo-Penta.